another ‘American’ of Corsican origin is Christopher Columbus. He was born in Calvi. 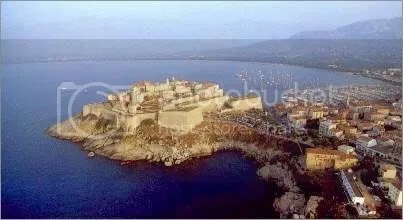 Many other places have laid claim to him, but his birthplace was definitely in the citadel of Calvi. It was obscured by the (then occupying) Genoese when they repatriated all the local records from their strongholds in Corsica. You can still the ruins of his house, laid waste by Lord Horatio Nelson in the Siege of Calvi in 1794. From early infancy (1947 onward) , I was taught the stories and songs of Christoforu Columbu’s Calvi origins, and of the stone house there where he was raised. 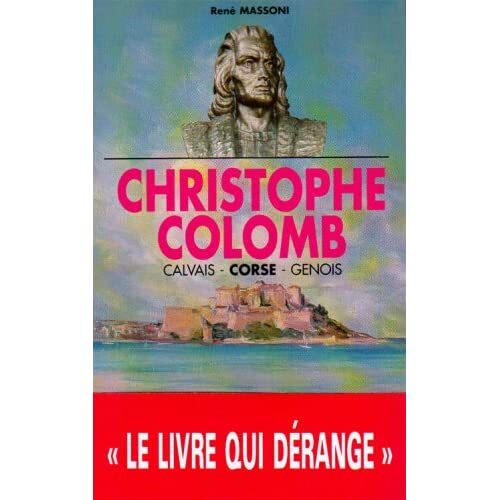 There is a book by ex-secret serviceman René Massoni’s published the 13 JANUARY 1958, entitled: “Christophe Colomb: Calvais, Corse, Génois”. His family tree is available at www.citeweb.net/tk5yp/colomb/photocc.htm. Les racines Corses de Christophe Colomb. Reliure : http://www.abebooks.fr/products/isbn/9782702015704should be donated to the greater cause of worldwide missionary activity and the recapture of Jerusalem. Reflections on the Coincidences of Christopher Columbus’s ‘Libro de Las Profecias’ and the American Dream” by Delno C. West and August Kling in “Encounters” (Double Issue No. 5-6, pp. 22-24) For the past seven years, we have studied the intellectual and religious nature of Christopher Columbus, using as the centerpiece of that research the Admiral’s eighty-four page collection of prophecies, the “Libro de las profecias.” Often when one spends years translating a document and studying its meaning, one cannot help but ponder the meaning of the experience. This essay is meant simply to be our reflection upon a recently completed study. The first four pages of the “Libro de las profecias” explain very carefully that the prophecies are not to be construed only literally, but also figuratively which broadened the Admiral’s horizons to include moral principles and visions of sublimest truth. Using the hermeneutical methods of Thomas Aquinas, John Gerson, St. Augustine, St. Isidore of Seville, and Nicholas of Lyra, Columbus established an undeniable legitimacy for his project. Reading the nearly three thousand postilles (marginal notes) which Columbus left in the pages of the surviving books he owned, it is easy to see that he was a student of the Bible and that he had the major themes of the “Libro de las profecias” in mind as early as 1481. Eight different hands compiled the “Libro de las profecias,” but the main texts were copied by Father Gaspar Gorricio and Ferdinand Colon (who was then a teenager). The manuscript was written under the Admiral’s direction, and he added marginal notes to it. Concurrently, he was compiling his “Book of Privileges,” using the same method of employing scribes to do the work. From the correspondence between Christopher Columbus and Father Gorricio, there can be no doubt that Columbus was in control of the project. The history of the “Libro de las profecias” is that of a document which lay almost unstudied and untranslated for five hundred years. The Admiral died without completing it, but within the surviving pages one can see the Discoverer’s vision and meaning of the New World. Not the geographic meaning, but the meaning for history and for the human race–the meaning of the New World in the divine plan for the ages. It is within this document that one finds the seed for the Columbian symbolism later exploited by the United States. As mentioned above, the themes of the manuscript existed long before they were compiled. It is not coincidental that, three centuries after the first voyage of Columbus, the Discoverer should be heralded as “a new Moses” who “through trackless seas, an unknown flight explores, and hails a new Canaan’s promised shores.” It is not a coincidence, but it is a fascinating story that links the Discoverer to the bard of American Independence, the president of Yale College who was sometimes called the “Pope of New England,” Timothy Dwight. Timothy Dwight never read the “Libro de las profecias,” but the themes in that document permeated the Admiral’s life and writings causing early American settlers to perceive him as a symbol of the American dream. Dwight was the first to write an American national epic, “Conquest of Canaan.” That work, written in 1785 and dedicated to George Washington, refers to Columbus as the “new Moses” journeying to a “new Canaan,” and that same work contains the first complete expression of the political, social, economic, and technological doctrines known secularly as “manifest destiny,” and theologically as “American post- millennialism.” Dwight chose, as Columbus intended, to form a poetic vision of versified Biblical prophecies. In one grand prophetic preview, Dwight projected into the future the fall of Jerusalem, the missionary expansion of the Church, the Discovery of America, and the settlement of the new land “for the enjoyment of religion,” the “freedom and glory of the north American states,” the blessings of freedom to “every land o’erflow,” the scientific, economic and technological progress of the New World, the achievement of world peace with freedom and human dignity, the evangelization of the world, the beginning of the millennium, and finally, the end of the world. This versification, in a heroic epic of the prophecies concerning the mountain, the city, the house, and the good news of God was exactly what Christopher Columbus had said he wanted to do. It might have remained a coincidence that Timothy Dwight versified the vision of Christopher Columbus, but there is the further fascinating story of Dwight’s student at Yale, Joel Barlow. Barlow wrote hundreds of pages of blank verse creating the second and third epic poems in American history titled, “The Vision of Columbus,” and “The Columbiad.” This was no coincidence because “Columbian,” “Columbia,” and “Columbiad” had for several decades been code words for the so-called “Sons of Freedom,” a Yale College student organization dedicated to the War for Independence. It may have been the eagerness of the “Columbians” at Yale to get at the vision of Columbus that motivated the Minister Plenipotentiary of the United States in Madrid in the winter of 1825-26 to invite Washington Irving to come quickly to translate “a work then in the press, edited by Don Martin Fernandez de Navarette … containing a collection of documents relative to the voyages of Columbus, among which were many of a highly important nature, recently discovered.” Why did the U.S. Ambassador consider this translation to be “peculiarly desirable,” and to offer such generous subsidies to the translator (who ended up by producing a highly readable, popular classic rather than translations of documents)? It is not a coincidence, nor an indication of any necessary linkage, that both Columbus and his distant admirers conceived the idea of versifying the prophetic theology in the form of universal history by means of an epic poem. Each knew, and understood its implications, the fact that the material he wished to communicate was in essence only motivational, pure vision, and on the broadest possible scale. In every age and climate, such material has been expressed in the form of national epics–Homer, Virgil, Dante, Camoes, Milton, or epics of Norsemen, the sacred verse of aboriginal Pacific Islanders, and primitive peoples everywhere. All these epic writers were utterly serious in their intent to produce motivational literature on the grandest scale, and they chose the same ideal format. It is not especially important that Columbus never actually versified the prophecies, and that the epics of Dwight and Barlow have been all but forgotten. The themes they addressed have become the powerful anthems of the American people. (3) Even with a printed critical edition, scholars continued to ignore it for another sixty years. The problem scholars have had with the “Libro de las profecias” has been one of misunderstanding and credibility. Historiographically, when Columbus scholars have been confronted with the “Libro de las profecias,” they have looked the other way. Our model of Columbus as Renaissance scientist, adventurer and mariner does not include an obsession with eschatology. Nevertheless, he believed that God had called him for a special mission of apocalyptic importance. As he carefully reminded his sovereigns in a letter dated 7 July 1503, he had received a vision while yet a young man in which the Holy Spirit spoke directly to him in these words: God … will cause your name to be wonderfully proclaimed throughout the world … and give you the keys of the gates to the ocean which are closed with strong chains. (4) The driving motivational force in his life was ultimately his role in God’s scheme for history: Who doubts that this light was from the Holy Spirit … whom with rays of marvelous clarity it consoled … with forty-four books of the Old Testament and four Evangelists, with twenty-three epistles of those blessed apostles, encouraging me to proceed, and continuously, without stopping a moment, they encouraged me with great haste. (5) Columbus’ spiritual desire was to spread the Gospel and initiate a new crusade to recapture the Holy site of Solomon’s Temple. It is impossible to calculate when this mission became incorporated into a broader eschatological framework, but he implies that such thinking occurred early in his career and that these dreams were a part of his arguments before the king and queen. (6) Compiling the “Libro de las profecias” must have been on his mind for several years as elements of it appear in isolated passages in his early letters, the diary and reports. The adoption of Xpo Ferens for his signature in 1502 confirms a specially perceived relationship and calling from God. (7) Written between the third and fourth voyages, the timing of the “Libro de las profecias” was unfortunate due to the stress caused by losing favor at court. Later, scholars would come to the conclusion that this apocalyptic treatise was the product of a discouraged and troubled mind. To Columbus, however, it was the framework in which he wished the world to view his accomplishments. The central theme of the book is that an important stage of prophecy had been fulfilled, in time, by his discoveries. The eschatological clock was ticking away and the next steps, he tells his monarchs, must begin. First, the Gospel message must be spread on a global scale beginning with lands he has discovered and brought under the Spanish flag. Second, the riches of the New World should be dedicated to the recapture of Jerusalem thereby securing the most important site in Christendom so that other events of the last days could begin. The Document The “Libro de las profecias” presents an array of prophetic texts, commentaries by ancient and medieval authors, fragments of Spanish poetry and Columbus’ own interpretations of these writings to prove his theses. 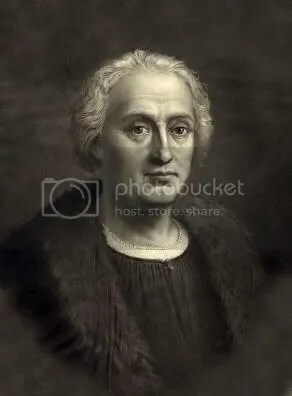 Columbus finished the basic draft in the fall of 1501 and gave it to his friend the Carthusian monk, Gaspar Gorricio, to read and add more references where appropriate. On 23 March 1502, as Columbus left Seville to start his fourth voyage, Father Gorricio additions were minor as he indicated in his letter accompanying the manuscript. (8) This is the form in which we still have the treatise, a rough draft with notations and additions to be incorporated. The “Libro de las profecias” was first found when the library of Don Diego was inventoried. Ferdinand catalogued it with other books owned by his father and used it in writing his biography. Bartolome de las Casas mentions it, and it was catalogued by De la Rosa y Copes in his “Biblioteca Colombina.”(9) With the exception of some tutoring from his brother, Columbus was self-taught. Despite the hours he spent pouring over the theories of experts, the years at sea accumulating practical experience, and the long discussions with scholars, churchmen and old sailors in many ports, he believed the key to his success was the gift of knowledge given to him by the Holy Spirit. (11) Virgil Milani has argued that and that he could have meant “entelequia,” a term utilized by St. Augustine when referring to intelligence of or from God. (12) The draft structure of the “Libro de las profecias” is composed of 84 folios (10 pages are missing) Columbus gives credit to Joachim of Fiore, the Sybils, Merlin and the peudo-Methodius, Columbus limited his citations, with very few interpreted an event without supporting authority was when he proclaimed that his discoveries fulfilled Isaiah’s prophecy about a new heaven and a new earth. Columbus’ exegetical method was orthodox and his conclusions conservative. “I am the Good Shepherd and I know my sheep … and I have other sheep which are not of this flock and I must bring them in, and they will hear my voice, and there will be one flock and one shepherd. Attached to the end are lists of Biblical quotations to be incorporated into the text at a later date. Columbus Scholars and the “Libro de las profecias” The evidence of Columbus’ strong spirituality has never been seriously questioned although that spirituality needs more detailed definition. He was closely tied to Franciscan Observantine reformers who had deep roots in Spiritual Franciscanism. It has been only in the past thirty years that scholars have sought to find a definition for Columbus’ apocalypticism. Marcel Bataillon examined Columbus’ interpretations from the “Libro de las profecias” within the context of general millennialism of the times, and his efforts were followed by an excellent chapter in John Phelan’s book devoted to apocalypticism in the Age of Discovery. Professor Phelan was not surprised at Columbus’ eschatological conclusions about spreading the Gospel to the lands he had discovered Little wonder that he was obsessed by the image of himself as the instrument of Divine Providence. Little wonder that he was convinced that the mission of fulfilling the other apocalyptical prophecy had also been reserved for him [the capture of Jerusalem]. (24) Phelan stressed that Columbus must be taken seriously in his prophetic statements, Columbus’ unique historical perspective must not be forgotten. He was looking back through fifteen hundred years of Christianity. It seemed to him that his discoveries represented the grandiose climax of Christian history. His opening of the ‘door of the Western Sea’ promised the speedy fulfillment … of the words of Mark 16:15…(25) James Cummins analyzed Columbus’ scheme to liberate Jerusalem in a festschrift contribution published in 1976. Cummins advocated the provocative idea that the Admiral set about to fulfill the medieval ideal of freeing the Holy Sepulchre and saw himself as the new David. She has clearly pointed out the extensive use the Admiral made of a wide range of ancient and medieval authors in composing the treatise. Watts’ most important contribution is her thorough analysis of Columbus’ use of Pierre d’Ailly’s opuscula, the “Imago Mundi,” and Pope Pius II’s “Historia rerum ubique gestarum” in developing his apocalyptic theories. (31) Conclusion We have just begun to incorporate the “Libro de las profecias” into our understanding of Columbus, fifteenth and sixteenth century apocalypticism, and the treatise’s place in the history of ideas. Critical translations at least into Spanish, Italian and English need to be made so that the source is available to a wider audience. Columbus’ knowledge and use of the Bible, the Church Fathers, and important medieval theologians, should be analyzed. The “Libro de las profecias” demonstrates that the Admiral was much better read and familiar with a wider range of literature than is usually assumed. Astrology also was important to Columbus, and he refers to it throughout his diary and letters. The most complete account of his knowledge on this subject is to be found in his eschatological treatise. Last, the “Libro de las profecias” should be compared with and placed into the larger body of apocalyptic literature from the late middle ages in Europe, especially its relation to Spanish and Spanish American eschatology. 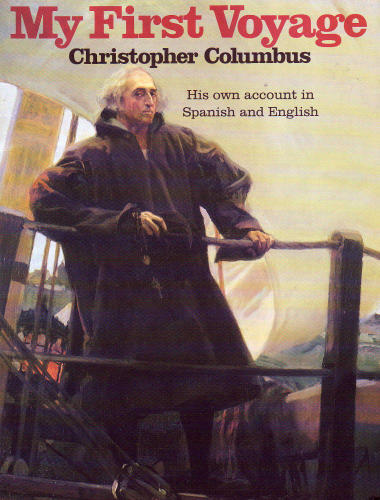 The “Libro de las profecias” is an important treatise which gives us insight into the mind of Christopher Columbus. It is not the ravings of a psychotic or reflective of an old man’s senility. It is a standard and rather ordinary apocalyptic text which displays some urgency for action but no hint for revolution. there is nothing radical in the treatise, and in face, the Admiral limits himself to exploring the meaning of his discoveries without predicting any forthcoming cataclysmic events. Columbus had an unshakable sense of calling which for him translated into prophetic destiny. Prophecy was the bridge between cosmological theory and fifteenth century science and God’s plan for the world. The secret of the Sea of Darkness to the Admiral had not been penetrated because God wanted it hidden until He was ready. Columbus firmly believed that God had selected him to uncover its mystery and to reveal new lands to gain for Christ. Christoferrens, the Christ Bearer, believed that God had given him a special spiritual intelligence to understand the mysteries of prophetic Scripture relating to unknown regions of the earth and then he set out to accumulate the intellectual abilities necessary to achieve his mission. Thus, faith and reason became wedded in his mind and created an unshakable resolve to reach his goal. 1. C.J. Caufman, “Faith and Fraternity: The History of the Knights of Columbus, 1882-1982” (New York, 1982), p. 81. By 1899, the ceremony for members of the fourth degree included a long discourse on the theme of Columbus’ prophetic name which translated as “Christ-Bearer Dove and symbolized the baptism of the New World,” p. 139. Thomas Cummings, Writing in “Donahoe’s Magazine,” xxxiii (November 1895), p. 1243, stated that Columbus inspired the Knights of Columbus because he was “a prophet and seer, an instrument of Divine Providence, a mystic of the very highest order…” 2. A. Roselly de Lorgues, “Histoire posthume de Christopher Colomb, per le c(te) Roselly de Lorgues” (Paris, 1885), p. 381. Despite widespread support, the effort toward canonization failed. 3. “Raccolta di documenti e studi pubblicati della R. Commissione Colombiana per quarto centenario dalla scoperta dell’America” (Scritti di Christofono Colombo, ed., C. de Lollis, Roma, 1894) II, pt. 1, “Libro de las profecias,” pp. 76-106. It is described briefly in Consuelo Varela, “Cristobal Colon: Textos y documentos completos Relaciones de viages, cartas y memoriales” (Alianza Universidad, Madrid, 1982), pp. 262-266. The actual incipit (Biblioteca Colombina, Seville, No. 2091, Registro de Hernando Colon) reads: “Liber seu manipulus de actoritatibus, dictis as sententlis et prophetiis circa materiam recuperande sancte ciuitatis et montis Dei Syon ac inuentionis et conversionis insularum Indie et omnium gentium atque nationum ad reges nostros Hispanos.” 4. “Raccolta Colombiana,” II, pt. 1, “Relazione del quarto viaggio,” Letter to king and queen dated 7 July 1592, p. 192. 5. “Libro de las profecias,” p. 79. 6. Ibid., p. 79. “And with this fire, I came to your Highnesses.” He is speaking here of Divine inspiration using the word “fire” in its typical medieval symbol for the Holy Spirit as derived from the fire which came down at Pentecost. 7. C. Varela, “Christobal Colon,” p. 305, for the date of Columbus’ adoption of Xpo Ferens. 8. Ibid., pp. 75-76 for Gorricio’s attached letter. In the “Raccolta Colombiana,” III, pt. 1, “Autografi de Cristoforo Colombo,” pp. xviii-xxii, de Lollis identifies four handwritings in the treatise, Christopher Columbus, Bartholome Columbus, Ferdinand Columbus and Father Gorricio. 9. “Biblioteca Colombina. Catalogo de sus libros impressos” (Seville, 1888), pp. 51-52. 10. P.F. Mulhern, “Gifts of the Holy Spirit,” in “New Catholic Encyclopedia” (New York, 1967) VII, pp. 99-100. Spiritualis intellectus was promised in Isaish 11:1-3 and given to the Apostles at Pentecost. The Church Fathers saw this and other gifts as special aids for Christians to use against evil. St. Thomas Aquinas believed that all gifts from the Holy Spirit were supernatural aids to enable the receiver to achieve natural perfection. In the later Middle Ages, spiritualis intellectus was claimed by many individuals and groups. The importance of spiritualis intellectus to the Spiritual Franciscans, for example, who greatly affected Columbus’ ideas through their influence upon the Observantine reform movement, was primary as it validated their claims to be new spiritual men predicted by Joachim of Fiore. The Spiritual Franciscans believed that the age into which the world was entering would be illuminated with a true form of spiritualis intellectus. See M. Reeves, “Prophecy in the Later Middle Ages,” (Oxford, 1969), p. 210. 11. “Libro de las profecias,” p. 79 and p. 82 where he proclaims that his self-education in all fields was secondary to the insights and knowledge given to him by the Holy Spirit. 12. V. Milani, “The Written Language of Christopher Columbus” (Buffalo, New York, 1973), pp. 129-132. 13. “Christopher Columbus and How He Imparted the Spirit of Discovery” (New York, 1891), p. 504. F. Young, “Christopher Columbus and the New World of His Discoveries” (London, 1906), p. 146. Similar wording of Columbus’ condition can be found in many late nineteenth and early twentieth century writers. And in the famous volumes by J. Thacher, “Christopher Columbus: His Life, His Work, His Remains” (New York, 1904) II, p. 566 “Fancy was disordering his brain.” III, p. 461, the “Libro de las profecias” was written when the “…aged Admiral was broken in mind and body…” 20. A Bernardini-Sjcestedt, “Christophe Colomb” (Paris, 1961), p. 275. J. Heers, “Christopher Colomb” (Bienne, 1981), p. 579. F. Ximenez de Sandoval, “Cristobal Colon: evocacion del Almirante de la mar Oceana” (Madrid, 1968), pp. 277-279. “Medieval Hispanic Studies Presented to Rita Hamilton” ed. A.D. Deyermond (London, 1976), p. 45. 27. M. Gongora, “Studies in the Colonial History of Spanish America,” trs. R. Southern (London, 1975), pp. 206-209. L. Weckmann, “La herencia medieval de Mexico” (El Colegio de Mexico, 1984) I, pp. 263-265. 28. P. Taviani, “Christopher Columbus: The Grand Design” (London, 1985), p. 113. 29. G. Granzotto, “Christopher Columbus,” trs. S. Sarterelli (New York, 1985), p. 246. 30. A. Milhou, “Colon y su mentalidad mesianica en el ambiente franciscanista Espanol” (Cuadernos Colombinos, XI, Valladolid, 1983). 31. P. Watts, “Prophecy and Discovery: On the Spiritual Origins of Christopher Columbus’s ‘Enterprise of the Indies’,” “American Historical Review” 90, no. 1 (1985), p. 74.